Co-Optimus - News - GOG's Summer Sale Starts... NOW! The sale runs for the next two weeks until Monday, June 18 around 6:00 PM EDT, so you should have plenty of time to scroll through the full list of games and make some choices about how much of your money to dish out for some DRM-free games. The good news is that if you spend just $5 during the sale, you'll get a free copy of the survival/exploration title, Sunless Sea (not co-op, sadly, but still fun!) Spend $20, and you'll also get a copy of the adventure title RiME. There's also a giveaway going on right now until 9:00 AM EDT on Wednesday, June 6 where you can get a free copy of Xenonauts, a turn-based strategy game that "recaptures the original X-COM: UFO Defense gameplay." Sounds like this won't be the only giveaway during the sale, either. But hey now, don't you panic. 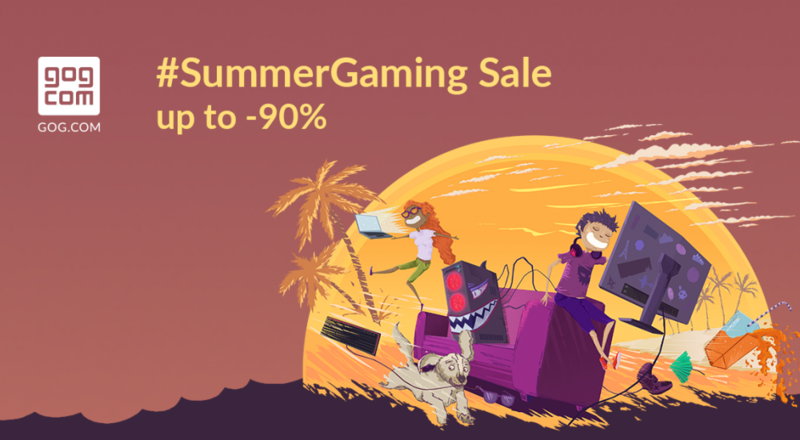 The games go on vacation too in #SUMMERGAMING – the biggest Sale event of the year – on GOG.COM, your radical distribution platform for DRM-free games you can take anywhere! To bask in seasonal goodness, to roll with good friends, to take in the fresh air… that doesn't mean there's no room to play. Discover over one thousand games up to 90% off; spend just 5$ to unlock a free copy of Sunless Sea, or pick up 20$ worth of games and earn RiME! Don't forget to make your games go DRM-free with GOG Connect. It's awesome, visit GOG.com/connect, log in to your Steam account, and claim a DRM-free edition of your every eligible game! Get Xenonauts FREE for keeps! Saving the world ain't simple, Xenonauts recaptures the original X-COM: UFO Defense gameplay for all its depth and complexity – a highly recommended play for curious fans of the X-COM reboots and series purists alike. The Xenonauts giveaway lasts 48 hours until June 6, 1 PM UTC. Follow us on Twitter and Facebook for more updates – we're not saying more giveaways are coming, but we're definitely not saying they aren't. The #SUMMERGAMING Sale will run through June 18, 10 PM UTC. Page created in 0.8130 seconds.